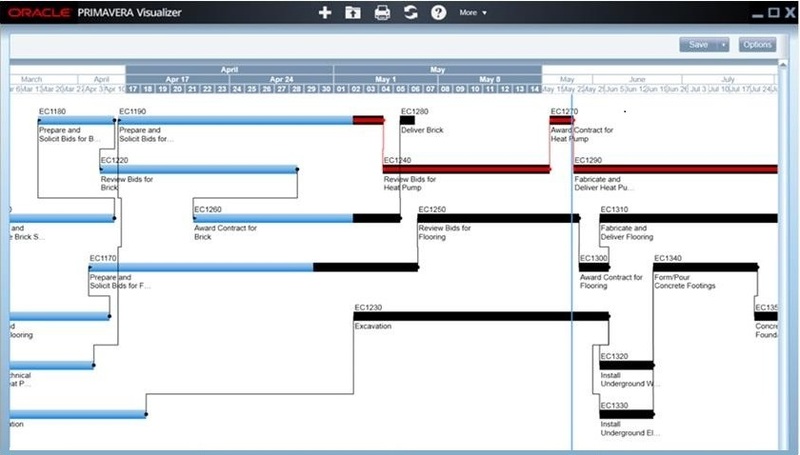 Oracle’s Primavera P6 Enterprise Project Portfolio Management is the most powerful, robust and easy-to-use solution for prioritizing, planning, managing and evaluating projects, programs and portfolios. Whether you use it On-Premise or In the Cloud, it provides a 100% web-based, solution for managing projects of any size, adapts to varying levels of complexity across projects and intelligently scales to meet the needs of all roles, functions, or skill levels in your organization and on your project team. Because Primavera P6 EPPM is an integrated project portfolio management solution comprising role-specific functionality to satisfy each team member's needs, it is simply the best way to manage all of your projects. This single, integrated solution enables you to manage projects of any size, adapts to various levels of complexities within a project, and intelligently scales to meet the needs of various roles, functions, or skill levels in your organization and on your project team. Primavera lets you plan resources more accurately, track how one or all of your projects are progressing against the plans, and mitigate risk by intervening rapidly if problems arise. And with an intuitive, role-based interface, each project team member receives the information they need, while executives have a bird’s eye view of how all projects are doing from cost, completion and other viewpoints. The result? With everyone on the same page, you can coordinate the whole project lifecycle from idea to execution. Primavera P6 Enterprise Project Portfolio Management is also available as a cloud solution. It integrates with your finance and asset management systems, and provides a consolidated view of the enterprise project portfolio for an accurate, up-to-date view of projects, people and financial performance. Project Partners has experience migrating our customers to the Cloud, which delivers the following benefits. Saves you up to 77% versus the budget and resources required for an in-house PM system – hardware, training, implementation, maintenance etc. Let Project Partners conduct an assessment of your current Project initiatives and processes, resulting in a roadmap to an integrated Oracle/Primavera solution for your organization.